FutureCare Lochearn, as this Baltimore facility now is known, is a for-profit corporation maintaining 200 certified beds (much higher than average for Maryland and the U.S.). It offers skilled nursing and rehabilitation services, including on-site dialysis; physical and occupational therapy; speech language pathology; bariatric care; pain management; and IV therapies. Lochearn has been part of FutureCare since 2005. FutureCare operates 14 nursing home facilities in Maryland, including a total of eight in the city of Baltimore. Our nursing home lawyers are not fans of FutureCare. We have seen awful things happen in their facilities. Certainly, awful things have gone on at FutureCare Lochearn, too. It is hard to find a nursing home that does not commit malpractice. 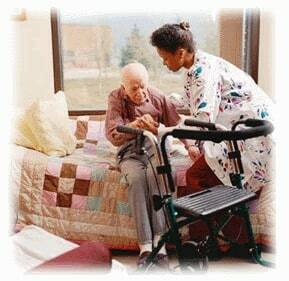 If you call us with a nursing home lawsuit against Lochearn, we are not going to be surprised. Even good nursing home care in this country is extremely flawed. That said, let's give credit where credit is due. FutureCare Lochearn (or just Lochearn) is one of its best, its overall 5-star Medicare rating putting it at or near the top. This facility is hardly perfect - its three-star health inspection is evidence of this. But this is a quality nursing home. FutureCare Charles Village got a 3-star overall rating (average), and FutureCare Cold Spring got two stars (below average). Why such great differences among facilities belonging to the same company? Before we dig deeper into Lochearn, let's look at the competition in the area. There are a lot of nursing homes close to Lochearn. Levindale Hebrew Geriatric Center and Hospital: Located very close to Lochearn in Baltimore, Levindale is nowhere near as close in terms of Medicare ratings. The home's overall 3-star rating, and a 2-star rating for quality measures, stand in contrast to the 5 stars Lochearn got in these two categories. Levindale did edge Lochearn, 5 stars to 4 stars, on staffing. Blue Point Healthcare Center: Also located near Lochearn, Blue Point (a unit of CommuniCare) offers even less competition than neighboring Levindale. Suffice to say that Lochearn got an overall 5-star Medicare rating - and Blue Point got 1 star. Northwest Healthcare Center: Another unit of CommuniCare, Northwest has higher Medicare scores than its sister facility, Blue Point, in Baltimore. But its scores are inferior to those of Lochearn, straight across the board. Autumn Lake Healthcare at Alice Manor: This Baltimore facility underscores Lochearn in all four main Medicare categories. Its overall rating is 2 stars (below average) in contrast to Lochearn's 5 stars (much above average). ManorCare Health Services - Roland Park: Located a mile apart in Baltimore, both ManorCare and Lochearn got top-notch 5-star ratings for quality measures, but Lochearn beat ManorCare in the other three main Medicare categories, including its overall rating (5 stars to 3 stars). Augsburg Lutheran Home: Augsburg's main Medicare scores were identical with those of ManorCare, so these two practically next-door neighbors in Baltimore line up in similar fashion against Lochearn. Brinton Woods Health and Rehabilitation Center at Arlington West: Here is yet another also-ran in Baltimore, coming up behind Lochearn in all four main Medicare rating categories (including 2 stars to 5 stars for its overall score). Crawford Retreat: If Lochearn had no trouble beating Brinton Woods, it had to run a lot faster to top Crawford Retreat, a Baltimore facility that matched its high ratings for staffing and quality measures. Lochearn did edge Crawford Retreat on the health inspection and in the overall Medicare rating (5 stars to 4 stars). Milford Manor Nursing Home: To stick with the running theme, Milford Manor lost this race at the starting gun. Three of this Baltimore facility's main Medicare ratings were 1-stars: the lowest. Lochearn left this facility in the dust. Bridgepark Healthcare Center: This Baltimore facility did better than Milford Manor, but that's not saying much. Bridgepark, too, got an overall 1-star rating from Medicare (versus Lochearn's 5 stars), although it came close to competing with Lochearn on staffing and quality measures. Roland Park Place: Now here's some real competition for Lochearn: in fact, with its nearly perfect Medicare ratings, Roland Park Place beat Lochearn on the scores for the health inspection and staffing. Both Baltimore facilities got 5-star ratings overall. Keswick Multi-Care Center: Keswick managed to equal Lochearn on staffing (both Baltimore facilities got 4 stars), but it fell short of Lochearn on the other three main Medicare metrics. Its overall rating of 2 stars (below average) does not hold a candle to Lochearn's 5 stars. In its most recent health inspection (part of the standard Medicare report on Lochearn), this facility was found to have a total of 4 deficiencies -- outperforming the U.S. average (7.1 deficiencies) and the Maryland state average (11.4 deficiencies). Lochearn also bested the U.S. and state averages in terms of fire safety, having only 2 deficiencies (the U.S. average was 3.4, the state average 4). Lochearn did get 4 stars (above average) for the staffing category in that last standard Medicare survey (October, 2015). In terms of total daily nursing time per resident, this facility came in between the Maryland and U.S. averages. It did likewise on total RN time, nonetheless getting a 4-star rating for RNs in particular. It was slightly above average in providing time with LPNs and LVNs (licensed practical nurses, licensed vocational nurses), and slightly below average on residents' time with physical therapists. Lochearn got five stars - tops - for quality measures. This Medicare score, we think, is where the rubber really meets the road, because it measures how much care residents receive, and it gives an indication of how well a facility is doing at keeping its residents well. Its five stars for quality measures must have a lot to do with how Lochearn got a 5-star Medicare rating overall since it got only four stars for staffing and three stars for its health inspection. With respect to short-stay residents, Lochearn beat the Maryland and U.S. averages in six of nine measured categories, and it was about on par with them in three others. Notably, Lochearn was much better than the state and national averages about half the time. Its short-stay residents were more likely to enjoy an improvement in functionality (72.1 percent of them, versus 64.6 percent and 63.3 percent, respectively, for Maryland and the U.S.). Lochearn short-stay residents were less than half as likely as the state or U.S. averages to have pressure ulcers (bed sores); and only one-third as likely to need antipsychotic meds. They were five to six times less likely to report having serious pain; and, on leaving the facility, they were less than half as likely to need to make a visit to the ER. Could this FutureCare facility maintain such a high-performance level for long-stay residents, who presumably have more serious health issues? The short answer is yes. In quality measures for long-stay residents, Lochearn beat the Maryland and U.S. averages in 10 out of 15 Medicare categories and was about on par with the state and national averages in two others. Its long-stay residents were more likely than average to experience declines in their mobility or their ability to carry out routine activities independently. But they were less likely (than the Maryland or U.S. averages) to lose too much weight, or experience serious pain, or get a urinary tract infection. They were three times less likely to need ongoing catheterization. They were entirely unlikely to suffer a fall with injury (zero percent) or be subjected to physical restraints (again, zero percent). The rate of depressive symptoms among long-stay residents here was higher than the state and U.S. averages (6.8 percent at Lochearn, 4.7 percent statewide, 5.4 percent nationally), but these Lochearn residents were much less likely than average to require antianxiety or antipsychotic meds. In reaching long-stay residents with flu and pneumonia vaccinations, Lochearn beat the Maryland and U.S. averages in both cases. In its complaint inspection, Medicare determined that 77 double-occupancy rooms at this facility were smaller than the required 160 square feet (that is, 80 square feet per occupant). The month before this inspection, Lochearn had requested a waiver of this Medicare requirement (which, perhaps, was what prompted the complaint inspection in the first place). Whether Lochearn ever did get that waiver, we do not know. But perhaps it was trying to compensate for the room-size deficiency in its self-description, wherein Lochearn offers would-be residents "the beauty and tranquility of our large chapel, featuring amazing stained glass windows." Have you or someone you love suffered harm (or killed) in a Baltimore nursing home or assisted living facility? Call our nursing home lawyer at Miller & Zois today at 800-553-8082 or get a FREE no-obligation case review. Look at nursing home lawsuits filed in Maryland in 2016. We break down all of the Maryland nursing homes like we did for Sandtown.